Physical therapy, also known as functional rehabilitation, is a program designed to help the patient improve or maintain functional abilities (eg activities of daily living). Physical therapy includes building strength, flexibility and endurance, and learning proper biomechanics (eg posture) for spine stability and injury prevention. These treatment usually include passive and active treatments. Passive treatments include orthopaedic manipulation, electrical stimulation, myofascial release, ultrasound and heat/ice. Active treatment includes therapeutic exercise such as floor exercise, exercise on special equipment and aquatic therapy. Manual therapy includes manipulation and mobilization. This therapy involves restoring mobility (eg range of motion) to stiff joints and alleviating pain. Manipulation is a passive, specifically controlled, quick movement to release a joint back into correct position and/or reduce muscle spasms that may cause or contribute to spinal nerve irritation. Prior to manual therapy, a passive therapy may be given. Passive therapy might include application of heat, ultrasound and/or electrical stimulation. These therapies relax and warm underlying soft tissue allowing joints to be more easily manipulated. Electrical stimulation is also known as Transcutaneous Electrical Nerve Stimulation (TENS). TENS delivers a painless electrical current through the patient’s skin to specific nerves. The current produces mild heat that works to relieve stiffness and pain and helps to improve range of motion (mobility).This treatment is non-invasive with no known side effects. It may be used to control acute pain and chronic pain. Fascia is a sheath of connective tissue that supports muscles, bone, and organs. Stress from injury or poor posture causes the fascia to tighten. As the fascia constricts, muscles and bones may be pulled out of place causing pain. The physical therapist uses his or her fingers, palms, elbows and forearms to firmly and gently stretch the fascia. Ultrasound is a common non-invasive therapy used to treat back and neck pain, tendon and ligament injury, muscle spasms, joint problems and other spine related conditions. The physical therapist applies gel to the patient’s skin to create a friction free surface and the ultrasound probe is gently swirled over the area. Ultrasound uses high-frequency sound waves to deliver heat deep into tissues (eg muscles). This therapy promotes circulation and healing, relaxes muscle spasm, decreases inflammation and helps to alleviate pain. Cold treatments are never applied directly to the skin, because excessive cold can injure skin tissue. A barrier such as toweling is placed between the skin and the cold source. Ice helps to reduce blood flow thereby decreasing swelling, inflammation and pain. Heat therapy options include heat packs (plus skin barrier) and ultrasound. Warm moist heat increases circulation to the affected area. Blood carries needed nutrients to the area and helps to flush away toxins. Heat helps to relax stiff, sore muscles. 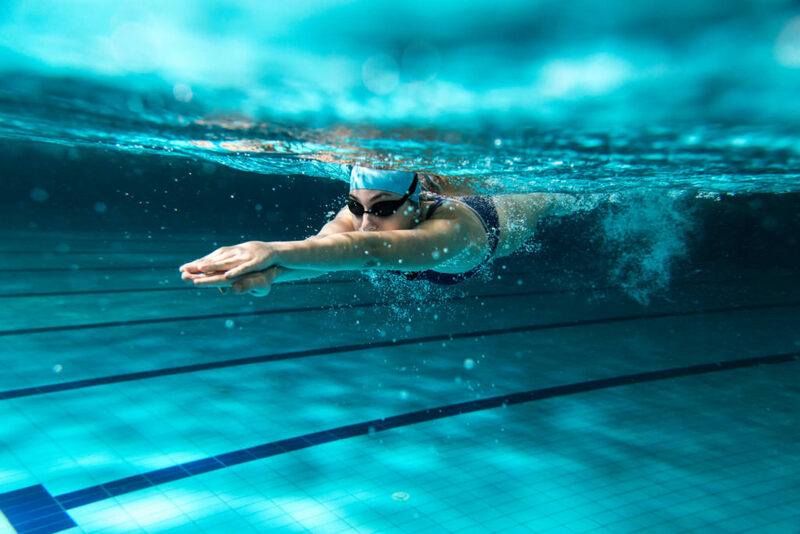 Patients with osteoarthritis, rheumatoid arthritis, spinal stenosis, back and neck pain and other spinal disorders can benefit from aquatic therapy (hydrotherapy). Treatment frequently takes place in a heated pool. Aquatic therapy addresses impaired mobility, weakness, weight bearing tolerance, pain, flexibility and coordination. Warm water relaxes muscles. The buoyancy of water enables joints to be moved without excessive stress. Often, what a patient is unable to do on land can be done in water. Anyone can benefit from therapeutic exercise. Exercise builds strength, improves balance and coordination, improves sleep, increases flexibility, stimulates the cardiovascular system, tones muscles, and relieves musculoskeletal stiffness, fatigue and pain. The physical therapist will customize a program to meet the patient’s individual needs. Prior to therapeutic exercise, a passive modality is usually administered followed by a period of pre-exercise warm-up activities. Warming up the body can be achieved by walking on a treadmill or stationary cycling. During physical therapy, patients are taught how to maintain proper posture. Good posture helps protect the spine against unnecessary stress and strain. Back and neck pain are often caused by poor posture. Learning how to lift, reach, carry, stand, sit and get in and out of a car are all practical skills that can help prevent injury and pain as well as to return to work and leisure activities. We are committed to the long-term well being and health of our patients. A carefully designed re-hab program for many of our patients is a critical part of their journey to return to health.